David Tran is dead. How did it happen? Hailed as the golden boy of Australian medicine he had everything to live for. Tran, together with his ‘Ma’ and sister escaped the war in Vietnam arriving in Australia via Hong Kong. Like many refugees the family struggled to make ends meet until David met Miles and became part of his family. David was smart and helped Miles with his studies as Miles tried to played professional tennis. The boys both ended up studying medicine. Miles became a hospital administrator and David a biomedical researcher who develops a super drug, nicknamed EIGHT, containing monoclonal antibodies (mAbs) believed to be able to treat and number of diseases including cancer. The laboratory work is done and the clinical trial is about to start. This is a story of big pharmaceuticals, of the large amounts of money that can be made, of greed and passing the buck and of cover-ups. It is also a story of family in all it shapes and sizes with all its ups and downs. The story of David’s death is told through the eyes of his best friend Miles, his sister Ly, girlfriend Abigail, lab assistant and colleague Rosa and Foxy the ‘fixer’ employed by the company that has invested hugely in EIGHT. Their stories have nothing in common except their connection to David Trang, but each provides a piece to the puzzle as they reveal what they know until the astonishing truth of David’s death comes together. 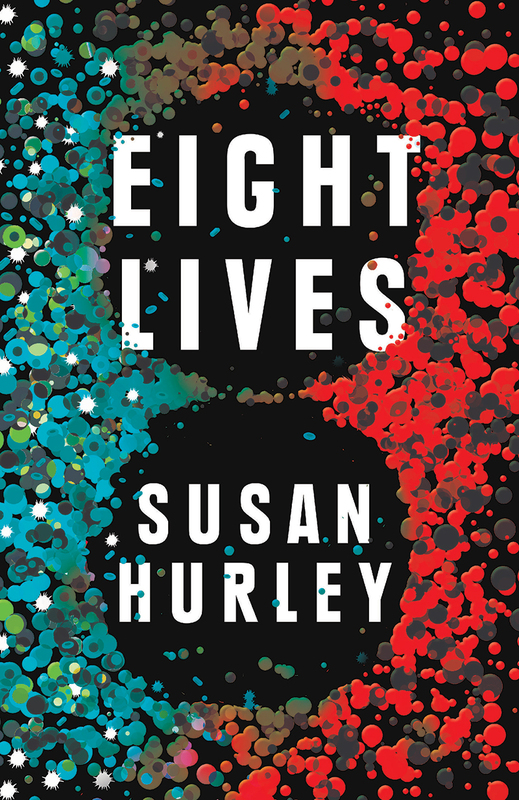 EIGHT ‘has its origins in’ an actual drug trial that took place in London in 2006. Despite the medical jargon this is an easy book to read as it is presented in a way that is easy to understand. I really enjoyed the book. It will keep you engaged until the end.